You know, my Guild Ball teams only have 6 figures on the pitch at a time. I really should get around to painting them. I mean, it's just 6 figures. Though I've not painted in ages. I should look over some of the tutorials and articles in Figure Painter Magazine to help me out. And hey, issue 37 is available now. So, what can we expect in this issue? There's a tutorial by Joan Carles Ros Magán. Then there's taking a figure from concept to boxart with Ian Saccamore. Then there's further reviews on things like FeR’s major Tom, Nuts Planets Sapper, and Pedro Fernández Works’ Redemption. There's several interviews as well, including one with Katarzyna Górska. As for other things going on with the Figure Painter Magazine crew, the first SeminART session has sold out. That class will be happening soon, if you were lucky enough to be one of the people participating. Other than that, Initiative Magazine will be having their first issue come out soon. Expect changes to the Figure Painter Magazine website in order to accommodate it. 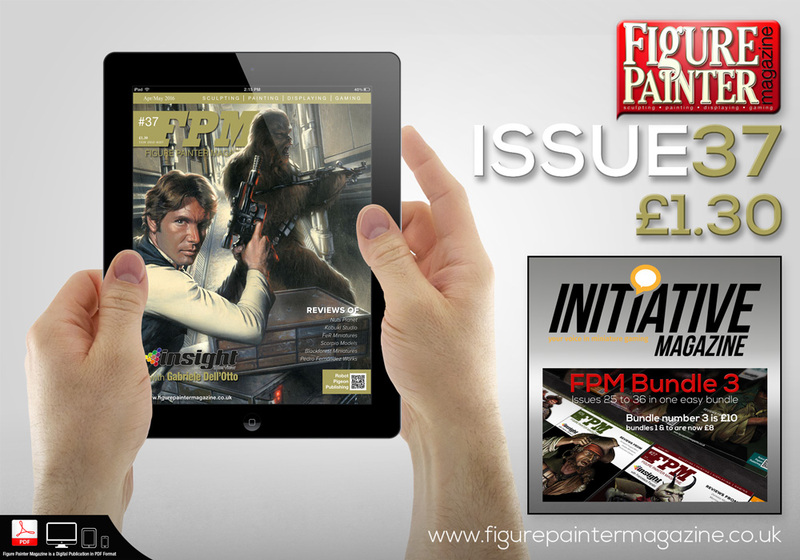 If you've missed out on previous issues of Figure Painter Magazine, the 3rd bundle is also now available.